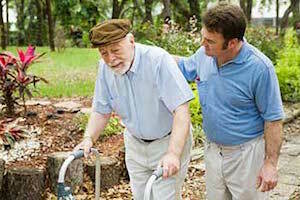 The Green Bay bedsore injury attorneys of Nursing Home Law Center LLC represent nursing neglect victims whose injuries are due to the inability of nursing facilities to address their needs or to hire an adequate number of skilled staff members to share the load. It is well within your rights to feel outrage at the prioritization of profit over your loved ones’ safety and to demand that the quality of care your loved one receives is within reason. Our ongoing goal is to hold negligent homes to account for the pressure ulcers that have worsened under their watch in order to dissuade others from disregarding their patients’ needs. Green Bay’s population of over 105,000 makes it the third largest city in Wisconsin and its seniors make up over 11.3% of the total. With many more on the cusp of retirement, there will be an expanding need for senior services and assistive care over the next decade that may exceed the capacity of the city to provide. Four AddLife Centers throughout Green Bay provide thousands of seniors with access to nutritious meals, fitness programs, health awareness information, transportation assistance and more. This allows many aging members of the community to stave off the need to rely on assistive care fulltime, which will delay their entry into a nursing home. To learn more about available services, you can visit http://www.co.brown.wi.us/departments/page_50fb94404095/?department=db50c2508c43&subdepartment=1dfd7417eea9. There are only 15 nursing facilities serving Green Bay and only five of them received perfect grades from Medicare. This has many people concerned about the state of the care center they choose for their loved ones and how much attention their loved ones are likely to receive. Fear over increasingly common reports of neglect drives many families to delay the placement of those who need care and this can create tension among family members and be a detriment to the person they are attempting to protect. Our Green Bay pressure sore lawyers will often suggest using the Medicare nursing home compare tool to conduct research on the nursing centers in the area and to be able to expand your search if you are unable to find a suitable facility within 25 miles. This tool will reveal critical information that includes each facility’s history of fines, health inspection records and staff quality so that you can make more informed choices regarding the care of your loved one. To access the nursing home compare tool, you can visit https://www.medicare.gov/nursinghomecompare. How Preventable Are Pressure Ulcers at Green Bay Nursing Centers? Some nursing facilities will try to justify the development of bedsores by claiming immobile patients are inherently considered high risk and therefore more likely to suffer from these injuries. While the first part is absolutely true, the risk is easily mitigated through preventative care which consists of moving the patient once every two to three hours and looking for signs that would indicate the presence of a sore. Early detection of pressure sores and prompt treatment keeps them from becoming serious. It truly requires a substantial amount of neglect for a patient to develop pressure ulcers which progress unabated into festering wounds. An advanced stage sore can cause tissue death all the way to the bone and the possibility of infection becomes likely. Many of the patients we encounter have been left to suffer until they needed to be admitted to a hospital and this is simply inexcusable. If your loved one has suffered from neglectful care, Nursing Home Law Center LLC may be able to help. We have successfully secured compensation on behalf of thousands of neglect victims and our commitment to defending the interests of our nation’s seniors is unwavering. Contact us today to arrange a free case review with an award winning Green Bay bedsore injury attorney so that we can discuss your legal options and answer the questions you have about the legal process and ways in which we can ensure you have the greatest chance of success.